Add to your home interior and solve all your storage issues with some storage boxes. 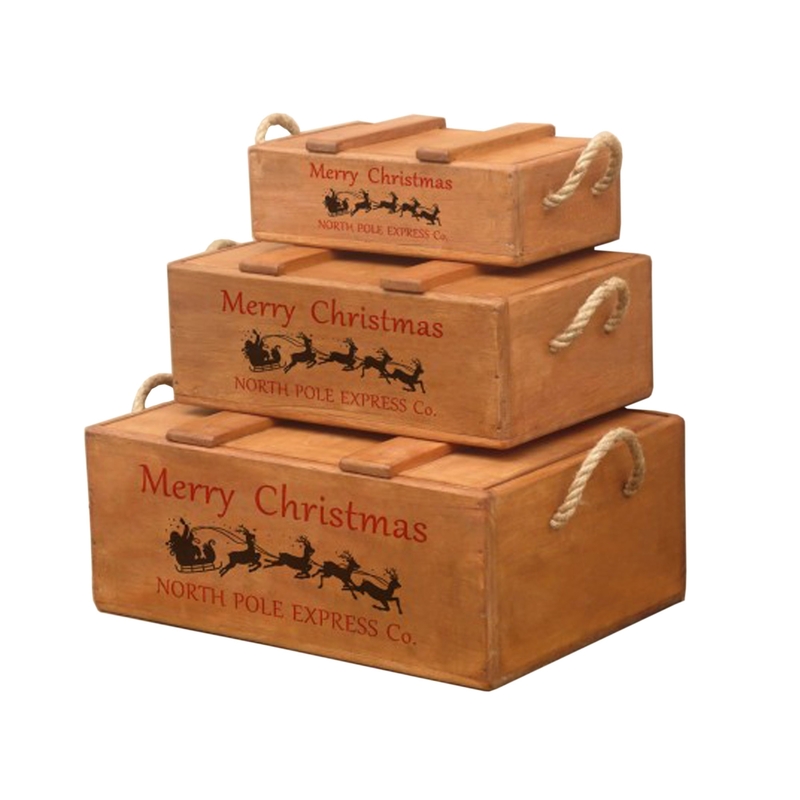 Introducing these lovely 3 Christmas Waxed Storage Boxes. Each Box is in a different size and features a Christmas theme design on the side of the box. Hand crafted to the highest quality they're ensured to last a lifetime.